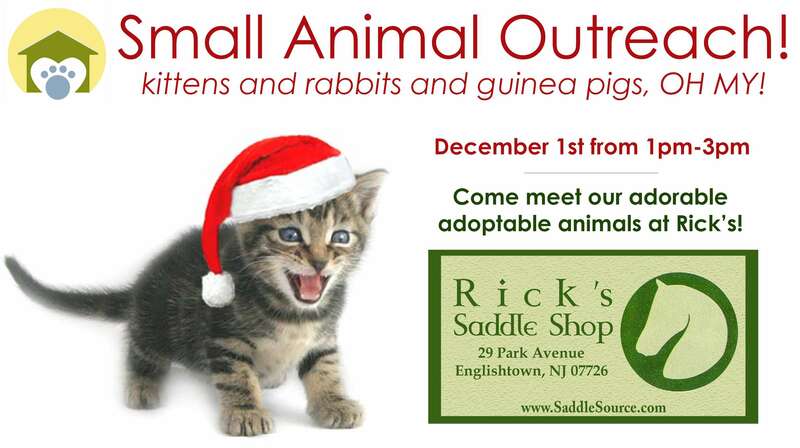 Join us at Rick’s Saddle Shop in Englishtown for a small animal outreach! We’ll have cute and cuddly adoptables ready to meet you! The event will run from 1pm-3pm on December 1st. There will also be pictures with Santa available! Bring the kids for this fun and family-friendly event!